Toho Company Limited. To the kaiju enthusiast the name brings one thought to mind: Godzilla! Here you have the Japanese Pop Culture Trends and if Godzilla does not immediately spring forth, then one of the many other giant kaiju does, for if there is one thing Toho Studios is known for throughout the world, it’s their giant monsters. However, History Vortex offers you an information about Toho, that has produced a vast variety of genre films including the bulk of the work of Akira Kurosawa, and while the release of Godzilla in 1954 seemed to have pointed the company in the direction for which it would become famous, the 1950s could have just as easily seen Toho become a horror outlet, as Hammer became in England. Of the many films produced by Toho from 1954 to 1962, sixteen of them were science fiction/horror oriented, and only five of those were “giant monster movies”. 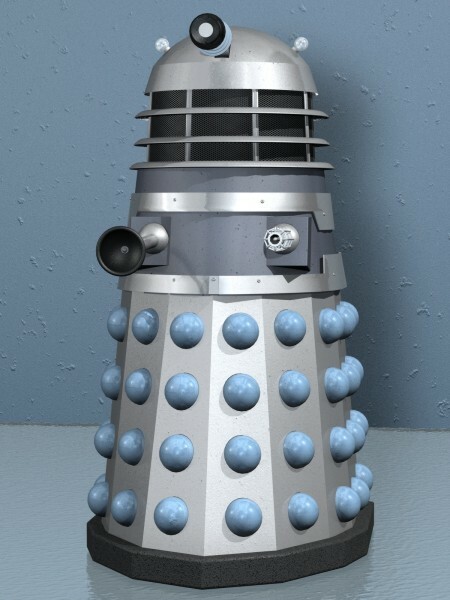 The mid fifties (1954-1958) saw the company experiment with many different formats, anyone which could have defined the direction of future films. The release of Godzilla in 1954 was followed by The Invisible Man (also in 1954) and “Monster Snowman” in 1955 (re-titled Half Human for its American release in 1958). These two films were as radically different from each other as they were from Godzilla. The Invisible Man, produced by Tomoyuki Tanaka and directed by Motoyoshi Oda was a horror oriented story starring Seizaburo Kozu, Miki Sanjo, and Yoshio Tsuchiya. The plot was a loose reworking of H.G. Wells’ original novel where Kozu’s character, an invisible man who earns a living dressed as a circus clown, uses his unique power to put a halt to a gang of crooks spreading terror and havoc through out the land as “The Invisible Gang” (the mob boss having seized upon the idea from the news that invisible men exist in the world). Subduing the members of the gang and avenging the death of Miki Sanjo’s character’s grandfather, the Invisible Man and the mob boss fight it out a top a burning oil tanker, both perishing in the flames. Monster Snowman was Ishiro Honda’s first production after Godzilla, and unfortunately the film has a rushed look to it. Produced by Tomoyuki Tanaka from a screenplay by Takeo Murata, the film starred Akira Takarada and Momoko Kochi as a pair of anthropology students on a ski-and-research trip who come upon the Snowman (and his young son), in the mountainous region of northern Japan. Too bad there weren’t many used snowmobiles available in the 1950’s. 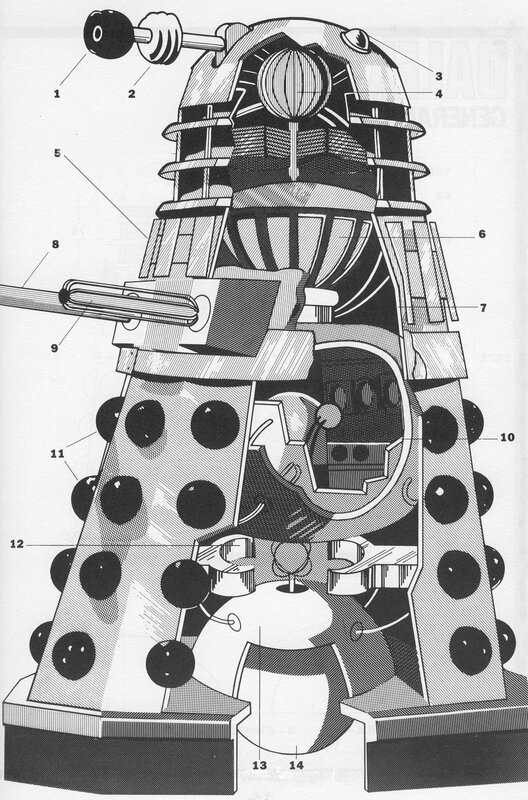 Check out this link about the Inside Toho. The story follows the attempts of the students, along with their university professor, to find and study the beast, the creature’s effect on the small native village near the cave where it lives (the natives worship it as a God), and the attempts of a circus impresario to capture it. Throughout the film the snowman is portrayed as an docile creature, only becoming a danger when its son or territories are threatened. It is also taken aback by beauty. It is not until the circus men kill its son that the creature turns completely vicious, killing everyone in the small village (except a lone native woman) and kidnaping Momoko Kochi’s character, taking her to its cave and threatening to throw her into a sulfur pit. The beast is finally killed when the native woman lunges at the snowman, knocking herself and the creature over the edge and into the pit. Although integrating the “Beauty and the Beast” theme from King Kong (the native woman is the only normal looking person in the entire village, the others displaying deformities or abnormalities), the film falls far short of it’s giant predecessor released the year before. The creature in the film is considered a monster, but at only ten feet tall, it was no where near the scale of Godzilla. 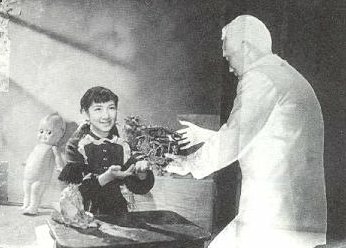 While both early films did well in the theaters, The Invisible Man being seen by 300,000 movie goers (box office attendance is not available for Monster Snowman), their box office appeal did not reach as near the level of Toho’s non-science fiction/horror related projects at the time (Akira Kurosawa’s Seven Samurai was released by Toho in 1954 to excellent box office turn out). 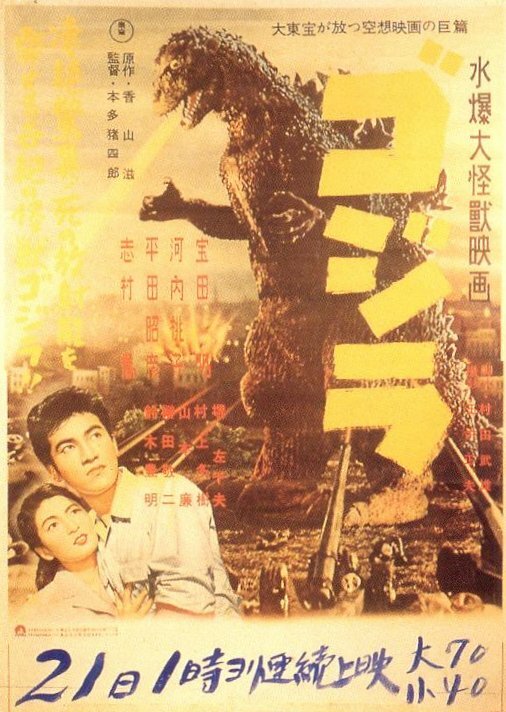 1955 also saw the release of the second Godzilla film, Godzilla no Gyakushu, capitalizing on the remarkable success of the first Godzilla the year before (thanks in part to a huge promotional campaign, 9,610,000 people saw it). Produced by Tomoyuki Tanaka and directed by Motoyoshi Oda from a screenplay by Takeo Murata, it starred Hiroshi Koizumi and Minoru Chiaki. Although a somewhat inferior film when compared to its predecessor, what would become Gigantis the Fire Monster in the U.S. did perform well at the box office, attracting 8,340,000 viewers. Inspired, Toho continued its trend of kaiju movies. Of interesting note was the conclusion of the film. Godzilla had seemingly perished under tons of ice, as Tanaka had believed he had used Godzilla to its fullest potential, but the ending ultimately allowed for future Godzilla appearances. 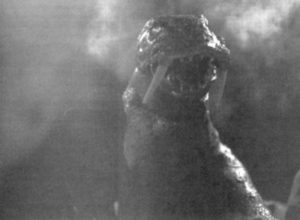 The year 1956 saw the release of Madam White Snake and Sora no Daikaiju Radon (“Giant Monster of the Sky Rodan”), released as Rodan the Flying Monster in America. Produced by Tomoyuki Tanaka from a screenplay by Toshio Yasumi, Madam White Snake was based on the Chinese fairy tale “Pai-She Chuan”, and starred Shirley Yamaguchi in the title role. This fantasy film is in such short supply on this side of the Pacific that very little is known about the production. Six hundred thousand people saw it in Japan, twice the number that saw Invisible Man two years before. Once again it was Rodan, produced by Tomoyuki Tanaka and directed by Ishiro Honda from a screenplay by Takeshi Kimura and Takeo Murata, which commanded greater appeal at the box office and continued Toho’s trend of using dinosaur type creatures as their main subject. No accurate attendance figure is available for Rodan, but the success of the film may have influenced production for the following year. In 1957 Toho decided to produce a film which combined two popular genres: space travel and kaiju. B-movie type space films were very popular in the America of the 1950s, and as the American market was opening up to Japan’s kaiju films (thanks mainly to the 1956 release of Godzilla King of the Monsters), Toho may have seen a chance to explore an unplowed field and further cash in on the American market. The result was Chikyu Boeigun (“Earth Defense Force”, released as The Mysterians in America), a typical 1950’s “B” space invasion movie encompassing a giant monster movie in its first half. (Though this film could be considered the sixth kaiju film made during the 1950s I have chosen not to do so, as Moguera only appears for a few minutes while the rest is a space invasion movie.) Produced by Tanaka from a screenplay by Takeshi Kimura and directed by Honda, the film, dealing with male aliens from the Asteroid Belt coming to Earth to mate with human woman, starred Kenji Sahara, Yumi Shirakawa and Momoko Kochi. It was Toho’s first feature to be filmed in Tohoscope and did a fairly good box office; 350,0000 people saw it. Also released in 1957 was the American version of Godzilla King of the Monsters, and while it has been rumored that the Japanese audiences did not quite understand the involvement of Raymond Burr’s character, this version of the film also did well. 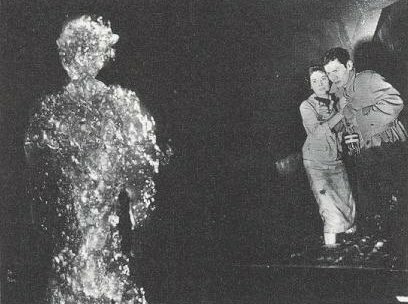 The following year saw the release of The H-Man, another sf/horror oriented movie like Half Human, only this time the antagonists were radioactive blob-like creatures which dissolve human flesh. Produced by Tanaka and directed by Honda from a screenplay by Takeshi Kimura, the film is an excellent period piece, combining the suspense of a detective story (the main plot of the film follows the attempts of the police to track down and break a drug ring), and the mood of a horror film (the “blobs” are H-bomb mutated human beings). This eerie, and visually thrilling film is much better executed than Half Human, and is probably one of the finest films Tanaka ever produced, highlighting the best work of Ishiro Honda since Godzilla. However, with only 400,000 people seeing the film, it was becoming obvious that the Japanese public preferred Toho’s kaiju films over the more mainstream sf/horror productions. Unfortunately, 1958 also saw the release of the disastrous Daikaiju Varan (“Giant Monster Baran”, renamed Varan the Unbelievable when released in American in 1961). Produced by Tanaka and directed by Koji Kajita (billed as assistant director with Honda taking top billing) from a screenplay by Shinichi Sekizawa, this Godzilla type rip-off, about another giant monster terrorizing Japan, was originally commissioned for American television release. Poorly written (the film opens with the main character speaking directly to the audience) and produced (stock footage is use extensively from Godzilla), its apparent failure at the box office may have mistakenly led Toho to believe they had exhausted the giant monster concept. In defense of the film (it is one of my personal favorites), the production budget did suffer because of Toho’s The Three Treasures epic being produced at the same time. 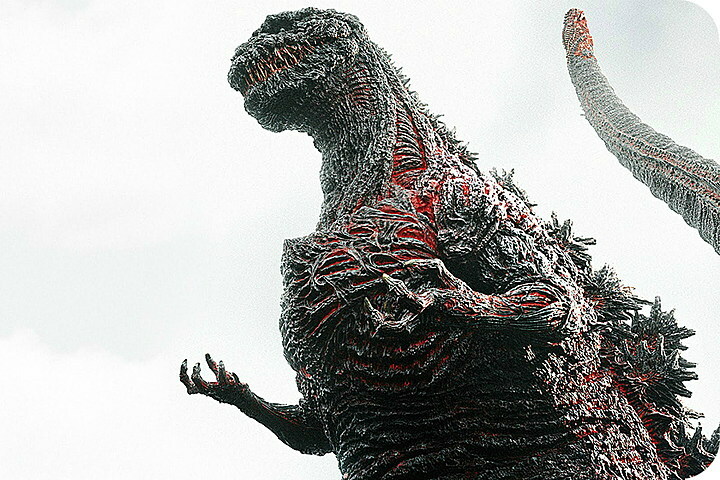 After Daikaiju Varan, no more giant monster movies would be produced by Toho for three years. The late fifties and early sixties started off with a bang, as Toho released its epic saga Nihon Tanjo, “The Birth of Japan” (The Three Treasures in America). Produced by Sanezumi Fujimoto and Tomoyuki Tanaka from a screenplay by Toshio Yasumi and Ryuzu Kikushima, the film chronicles the origins of the Shinto; the Japanese religion founded in harmony with nature and ancestor worship. Starring Toshiro Mifune and directed by Hiroshi Inagaki, this epic production, regarded as Japan’s equivalent to The Ten Commandments, is highlighted by a good story and exceptional special effects from Eiji Tsuburaya’s spfx unit (the stop-all being when Mifune’s character battles a seven-headed dragon in the film’s second act). The Three Treasures was the unexpected hit of 1959, with over 1,000,000 people cramming into the movie houses to catch it. The Three Treasures also heralded another ambitious product from the Toho special effects department to be released that same year, Battle In Outer Space. Repeating their former success with space oriented B-movies, Battle in Outer Space showcases some of the finest miniature effects to come out of Tsuburaya’ s department. Produced by Tomoyuki Tanaka and directed by Ishiro Honda from a screenplay by Shinichi Sekizawa, this compelling story, concerning the invasion of Earth from outer space, is one of the finest examples of “space war” films to come out of the 1950s. The battle scenes on the moon were truly inspirational. Battle In Outer Space, seen by more than 500,000 people, can be seen as one of the many inspirations for George Lucas’ Star War series. The new decade saw Toho turning back to sf/horror films with the releases of Secret of the Telegian, and The Human Vapor. Produced by Tanaka, directed by Jun Fukuda, screenplay by Shinichi Sekizawa, and starring Koji Tsuruta and Tadao Nakamura, Secret of the Telegian was the story of revenge and the horrors of science when used by the wrong hands. Tsuruta plays a Imperial Japanese Army solder assigned to transfer an important scientist into hiding at the end of the Second World War. He is betrayed by the other men in his unit and left for dead (the others, including his commanding officer, were using this as an opportunity to steal Imperial gold). Fourteen years later he begins to murder each of the men with the use of a teleporting machine, which can literally get him in and out of the murder scene in a wink of an eye, and thus allowing him to set up alibis. 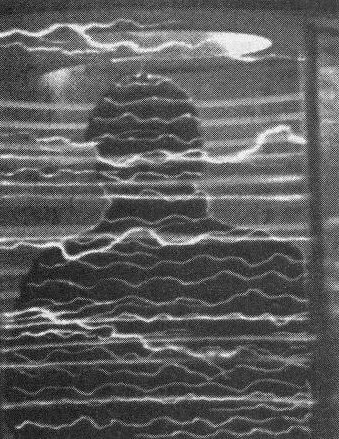 Yoshio Tuschiya in the title roll, The Human Vapor is a slightly more compelling film than Secret of the Telegian because it deals with love and obsession. The story follows Tushiya’ s character, given the ability to change into a vaporous form by a scientific experiment, as he uses his powers to rob several banks to help finance the comeback of a young dancer whom he loves. While each film did not retain the mood or feel of The H-Man (the night club scene in Telegian is an obvious retake of the night club scene in H-Man), they did represent Toho’s attempts to produce contemporary films dealing with the misuse of science, and the horrors which can arise when unscrupulous men gain control of power. Unfortunately neither film did as well as expected (both only drawing 250,000 people) and the typical movie goer was drawn toward giant monster films, although neither Toho nor Tanaka yet realized the extent. 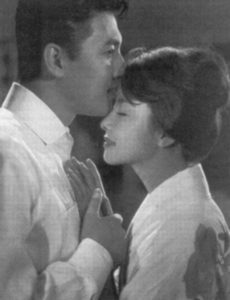 In 1961 Toho released The Last War, produced by Tanaka and directed by Shue Matsubayashi from a screenplay by Toshio Yasumi and Takeshi Kimura. A science fiction story along the lines of On The Beach, survivors of a nuclear holocaust aboard a freighter contemplate the fates and lives of their loved ones (shown in a series of flashbacks) in a story typical of the 1960’s. What makes this version so different from others of it’s type produced on both side of the Pacific, is the films distinctly Japanese point of view; the emphasis being placed on the victims of the war rather than the survivors. The film also did well (mostly due to current Cold War tensions), with 820,000 people attending. With the box office receipts of their horror related productions being far from impressive, Toho’s return to the giant monster genre commenced with the 1961 release of Mothra. 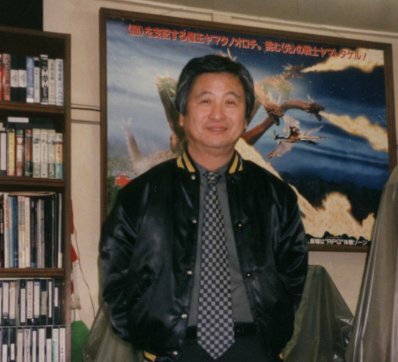 Produced by Tanaka and directed by Honda from a screenplay by Shinichi Sekizawa, Mothra was a huge success, and created one of the most popular kaiju to ever come out of Japan. It was mostly because of Mothra’s box office success that the heads at Toho felt the time was right to return to producing kaiju related films, but not before they would venture into pure science fiction one more time. Gorath, released in 1962 and portraying the Earth about to be destroyed in a collision with a giant runaway star, is truly the last of Toho’s Sci/Fi B-movies. Produced by Tanaka and directed by Honda from a screenplay by Takeshi Kimura, the story concerns the attempts of the nations of Earth to move the planet from the path of the approaching star by means of rockets installed at the South Pole. Though somewhat enjoyable, the film is a far cry form the company’s early entrants into this field. It is of special note tha t a giant monster did appear in the Japanese print of Gorath. Magma, a gigantic walrus released from the polar ice caps by the rockets’ heat, is so poorly executed and given so little screen time that it was best left out of the American version. Gorath was seen by 500,000 people. Although films such as Matango (Attack of the Mushroom People), Atragon, and The Adventures of Taklamakan, would be made throughout the 1960’s, 1962 marked a turning point which would define Toho as the “Kings” of the kaiju genre for millions of people and years to come. Willis O’Brien, the man who had brought King Kong to life in RKO’s 1933 classic, developed a story entitled “King Kong vs. Frankenstein,” in which Carl Denham discovers another Kong on Skull Island and brings the beast back to San Francisco. Meanwhile, the grandson of Dr. Frankenstien has created another monster by using various parts of African ani- mals. The two monsters face each other in what would have been a climactic battle atop the Golden Gate Bridge. To get backing for this project O’Brien approached producer John Beck, who immediately removed the “Frankenstein” reference from the screenplay (and subsequently O’Brien from the production) and had screenwriter George. 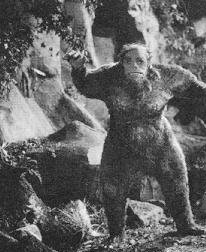 Yates rework the story into “King Kong vs. Prometheus.” Unable to gain financing in the United States, Beck presented the film to Toho, where almost all of Yates’ ideas were thrown out and Prometheus replaced by Godzilla. Tomoyuki Tanaka and Ishiro Honda both felt the time had come for the King to retum after a seven year absence. With a screenplay by Shinichi Sekizawa and starring Tadao Takashima, Mie Hama, and Kenji Sahara, King Kong vs. Godzilla, was the highest grossing kaiju film in Toho’s production history, seen by more Japanese movie goers than any other kaiju film before or since (12,550,000 to be exact). It was King Kong vs. Godzilla which established Godzilla as a genuine movie star and inspired the direction the company would take for the next two decades. After 1962 the number of kaiju films would reach an all time high of 19 productions throughout the 60s and early 70s. And the rest, as they say, is history.